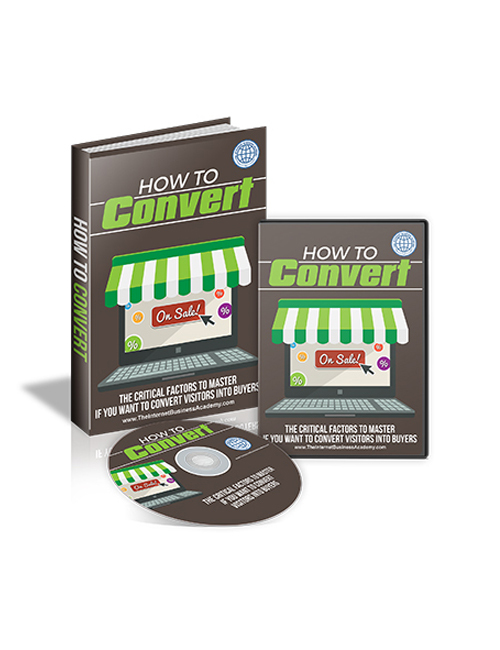 How To Convert is your take action video download tool that teaches you all the tips and proven techniques to master the art of increasing the number of visitors to your pages to buy. There’s a huge difference between random traffic and qualified traffic. If you are stepping into the wrong niche and sending random internet users to your place of business they are less likely to buy what you are selling. However, with the keys and practical tools to find your niche target audience and send them to your website you are increasing your conversions and ultimately you’re going to make more money. With a solid flow of quality traffic you are going to push up your rank, increase credibility, boost authority and brand recognition, drive your on-page visitor time up and of course increase your conversions that will put more money in the bank. After you have established your solid online income stream you will have the knowledge to keep your conversions steady and rising. That means your online business is going to continue to strengthen and gain ground. How To Convert is the key to transferring traffic into money fast.